Images from my solo Master's of Fine Arts Exhibition at California State University, Long Beach (April, 2018). My thesis focused on my family and my own experiences confronting racism and negative stereotypes toward Japanese and Asian Americans. 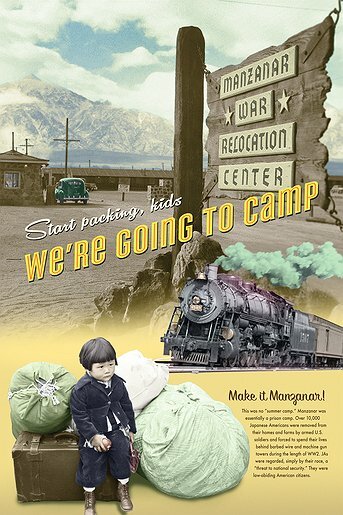 My mom and dad's family were sent to Internment Camps during World War II (Manzanar and Heart Mountain). They passed along their stories of pain and injustice to me. Growing up post WWII, I was teased and bullied for being Asian. Even as an adult, I would get, every so often, stereotypical (if not racist) comments. One section of the show is on the old Far East Cafe in Little Tokyo. The historic "Chop Suey" restaurant played an important part of JA history and culture. My MFA Show is dedicated to late mother and father. Just prior to my show's opening, my father fell and subsequently died (he was 96). While my dad lay in the hospital in intensive care, I considered cancelling my show. My dad really wanted to see me finish, and attend. He told me to carry on. Days before opening night, he passed away in his sleep. I hope what I've accomplished and continue to work on are fitting tributes to my mom and dad, and all Japanese Americans who've endured so much hardship. toyoshimad — Última actualización Oct 28 2018 11:08 a.m.
¿Qué es un Nikkei Album?